Stagelight is proving itself to be more than just "GarageBand for PCs." Since it was launched in 2012, Open Labs' music creation StageLight has been embraced by over half a million users. Originally pegged as "the GarageBand for PCs," the budget-friendly program has proved itself to be a wide-ranging, easy-to-use and adaptable tool for musicians and music enthusiasts of all stripes. Open Labs CEO Cliff Mountain and the company's Director of Artist Relations, Nicholas O'Toole, sat down with MusicRadar recently to talk about StageLight's evolution, its acceptance (and educational uses) and how they're planning to take it to the next level. What led to the development of StageLight? Cliff Mountain: Open Labs has been around since 2004. We had a line of Open keyboards, which are essentially keyboards with computers and Windows touchscreen software. I bought the company almost three years ago, and I had a bit of a different vision. I thought that some of the products were too expensive. In talking with the artists, I discovered that they liked the keyboards, but they really liked the software. "We knew that Windows 8 was coming out, where the touchscreen was going to be important, so we decided to take that software and break it out from the hardware to create a user interface that allows just about anyone to create music easily and quickly - and to have a lot of fun. StageLight came out in November 2012, and it's already been downloaded by over 500,000 people. "We've got a lot of great press. Wired essentially called us 'GarageBand for the Windows world,' which is good when you say that, but we think we're better than GarageBand. We're a lot easier. We've spent a lot of time coming up with an interface and a workflow that is structured for everyone from the consumers to hobbyists. Can you elaborate on what kind of consumer StageLight is aimed at? Mountain: "If you look at some exceptional but challenging applications like Ableton or Cubase, they're created with a sound designer in mind. Here in Austin, there's actually a two-semester course in how to use Pro Tools. So you'd have to say that those applications are aimed at people who have a lot of time and money and are willing to slog through difficult programs. "On the low end, you have music toys that you can download to your phone. These things allow you to create a song or do an Auto-Tune on your voice, but after 10 minutes you max out on their capabilities. We've taken a really different approach: We've got a product that is easy to use for anyone who wants to give music a chance. We've had four year olds making music on our product, but we also have hobbyist and professional features. The idea is to have an easy entry point, but as you grow as a musician, the product grows with you. "We've done the same thing with our pricing. The product is only $9.99, and as you build your capability set and want to add more professional or hobbyist features, you can do that for a small upgrade fee." What's the relationship between StageLight and Windows 8? Mountain: "We were one of the first music creation programs to fully use the touchscreen, so we utilize the full power of Windows 8. You can use a mouse or a keyboard with our program, but it's optimized for Windows. We have a 2.0 release coming out in June that is optimized for tablets, so you don't have to right-click on the items. We feel as though we've got a great relationship with Microsoft and Windows 8." Is there also an educational aspect to StageLight? Nicholas O'Toole: "Yeah, there is. One of the features is the Song Builder. If you've never made music before or never used software before, you can start making music right away with Song Builder. It walks you through how the software works and tells you how the features work. It also teaches you how a song is built and what the different elements are. People can make music with it very quickly. Little kids can figure it out in no time; likewise, adult hobbyists can use the Song Builder to create music without any technical barriers stopping them. "I've been working with an organization in Atlanta that wants to spread music creation awareness, the benefits of it. I'm also going to start reaching out to schools that have computers and music programs. The educational aspect comes from the fact that we're teaching you what you need to know to get started, and we want to spread that message." Mountain: "It's been pretty phenomenal. Since its launch, StageLight has been downloaded by half a million people, with little to no advertising. Both Linkin Park and Timbaland have endorsed the product; Nic has an emerging artists group of people who are lining up to endorse it. But the most rewarding thing is, we've got customers in 120 different countries, but we've only localized the product in two languages: English and simplified Chinese. With other products, you have to go online to figure out how to do things, with StageLight and the Song Builder function, you can get going right away - it walks you through the steps." How have Linkin Park and Timbaland been involved? Mountain: "They've both really engaged with the product. Mike Shinoda from Linkin Park, in particular, had input in the product as we went through the process. Timbaland has been very helpful with the sampler. They both provided exclusive sounds that we've been able to market with the product as well. They like the idea that they're contributing and giving back." Because StageLight has such a low price point, are there any limitations to its capabilities? O'Toole: "We don't artificially limit the software the way other companies do. Sometimes they have an entry-level version that limits the track count, limits the ability to do certain types of mixing and so on. We don't do that." What do you see as next for StageLight? Mountain: "There are two or three items that we expect to do this year. One is an expansion of the ease of use in the features side of the product. The 2.0 release we have in June will accomplish a lot of that. We're also moving into the Android space in the near future. And lastly, we're very successful today on desktops, laptops and tablets, but we also expect to deliver something in the mobile phone end of this year or beginning of next year." 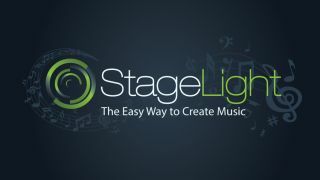 For more information and to download a free demo of Stagelight, visit Open Labs.